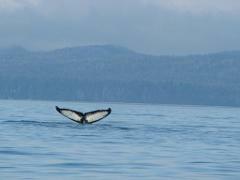 On an Alaska Marine Wildlife Tour you can explore the amazing abundance of marine life found in Sitka Sound. Humpback Whales feed in the waters of Sitka Sound from early spring all the way through late fall when they head to Hawaii. In spring and early summer you may also catch A Grey Whale as they feed along the coast on their migration from Baja to the Bearing Sea. 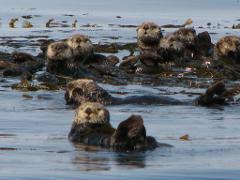 Sea Otters are so numerous and common that sightings are almost guaranteed. 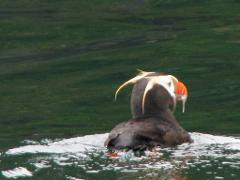 Tufted Puffins and thousands of other seabirds nest in the rocky cliffs that surround Sitka Sound. 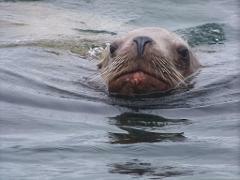 All of these things provide a wealth of wildlife to watch on this 2 hour tour of Alaska's marine wildlife. 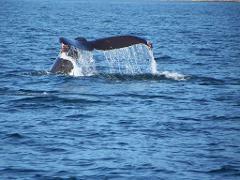 We would call it a whale watching tour because whales are the primary focus but it is really so much more than that with the great variety of life and beautiful scenery. Small tour groups will ensure an intimate nature experience. 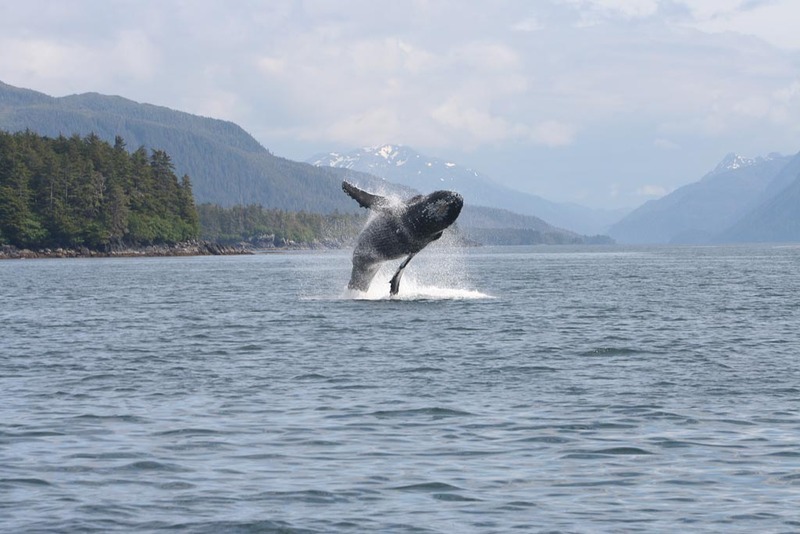 Your guide is an experienced boat captain with extensive knowledge about the marine wildlife found in Sitka Sound.